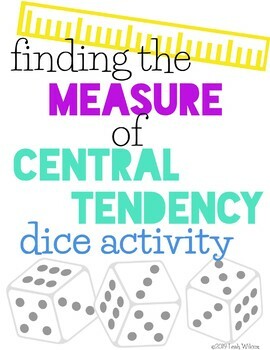 Check out this interactive Measure of Central Tendency activity! 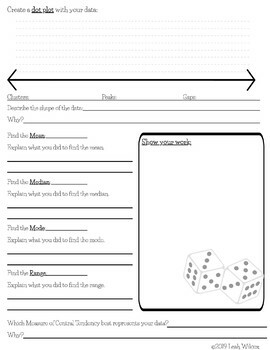 Students get the chance to practice their math skills while determining Mean, Median, Mode, and Range. 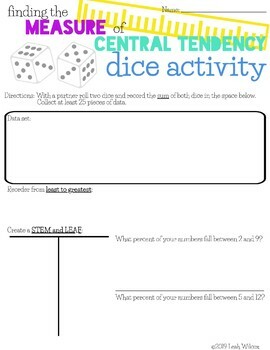 In pairs, students will roll dice, then use the data they collect as a class to create a stem and leaf diagram, dot plot, and find measures of central tendency. 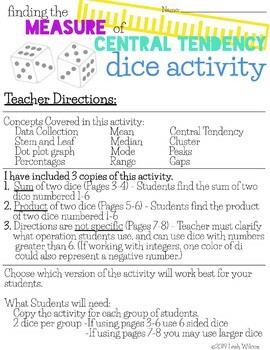 I have included 3 copies of this activity. If you love this activity... check out my Box and Whisker Height Activity!